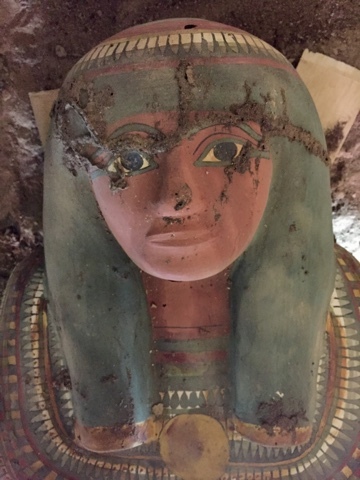 The Spanish mission working on the site of Thutmosis III mortuary temple of millions of years on the West Bank, Luxor, successfully discovered a tomb on the outside of the temple' southern wall. The mission is directed by Dr. Myriam Seco Alvarez and working on its 9th season on the site. 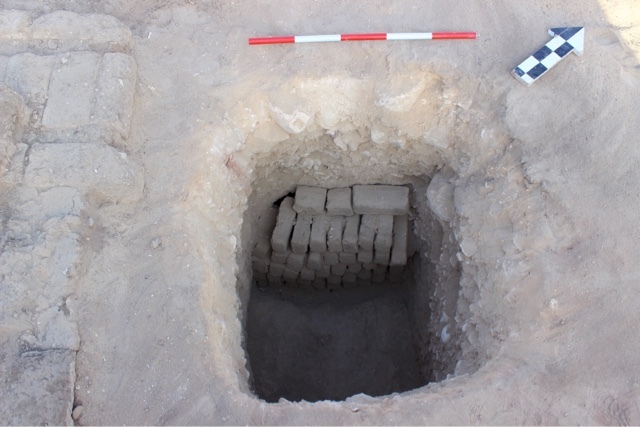 The tomb is dates to Third Intermediate Period (TIP) of a man called "Amn eir nef" who held the titles of "Servant of the royal house". 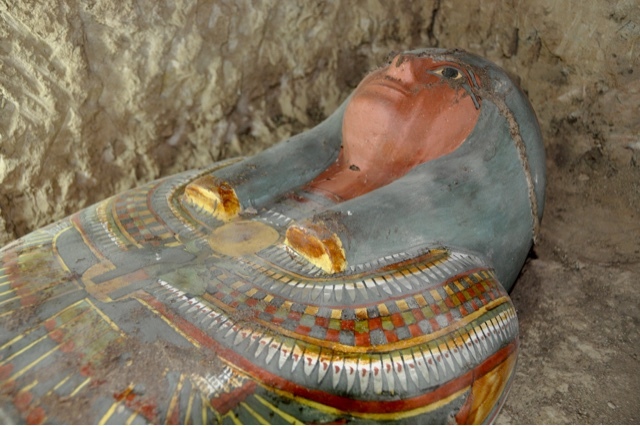 A sarcophagus with a mummy inside was found in the tomb. Its cartonnage is decorated with many ancient Egyptian religious symbols including depictions of winged Isis & Nephtys as well as Horus. 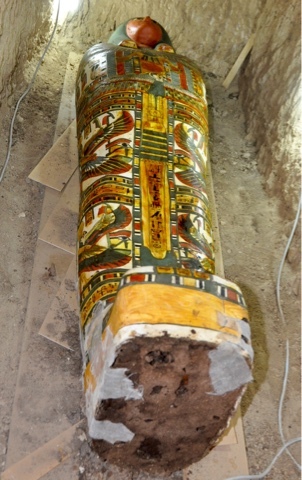 More work to be done on the tomb and its contents.